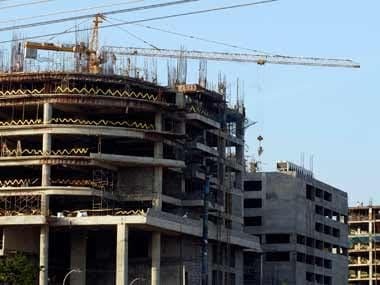 New Delhi: Kotak Investment Advisors Ltd (KIAL) on Tuesday announced a $400 million fund in partnership with DivyaSree Developers to build and acquire commercial office assets across the country. "The $400 million India Office Assets Fund I, is anchored by a wholly owned subsidiary of the Abu Dhabi Investment Authority (ADIA) and is one of the largest dedicated commercial office development platforms announced in India," it added. DivyaSree is the exclusive development partner and property advisor for the fund and KIAL will act as an investment manager. It is structured as an Alternative Investment Fund under SEBI regulations. When contacted, Kotak Realty Funds CEO Vikas Chimakurthy said, around $200 million would be infused by ADIA and the rest would be pumped in by KIAL and DivyaSree. The commercial real estate has been performing well and attracting huge investments since the last few years, despite an overall slowdown in the property market. Leading player Embassy Office Park, a JV of Blackstone and Embassy has currently launched its REIT to raise Rs 4,750 crore. DivyaSree Developers MD Bhaskar N Raju said: "We currently provide quality commercial spaces across South Indian cities of Bengaluru, Hyderabad and Chennai. With this fund, we will consolidate our position in the three cities and also expand footprints in new key markets of Mumbai, Pune and National Capital Region (NCR)." While the Kotak Mahindra Group had been associated with PE investments since 1997, the Alternate Assets Group was set up in early 2005 with its first structured third-party private equity and real estate funds. Since then, KIAL has raised $3.5 billion across different asset classes.